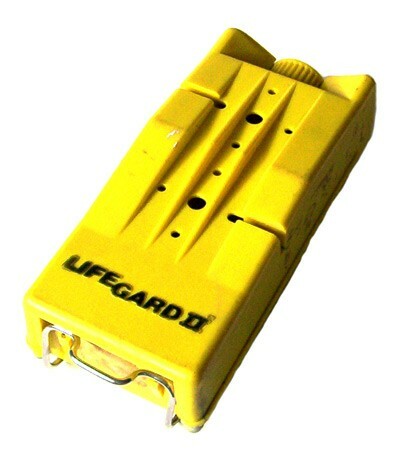 The Lifegard II PASS Alarm (Personal Alert Safety System) emits a high-pitched alert of 95 decibels when its wearer lies motionless for over 30 seconds. 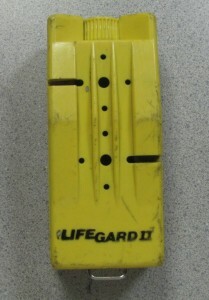 Primarily used by firefighters, the Lifegard II was manufactured by The Antenna Specialists Co. in 1988. 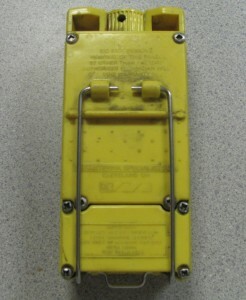 Introduced in Ghostbusters II, this device was worn with the black pistol belts during the montage and the battle with Vigo. 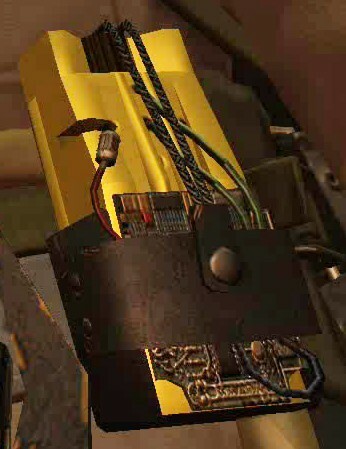 In Ghostbusters: The Video Game, a modified Lifegard II is carried in a leather holster with an additonal circuit board attached to the front, as well as extra wires and a black knob. 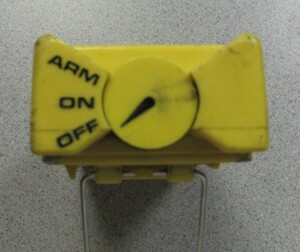 Although no explanation is given for this modification, it was likely that the game developers wanted to avoid using the name "Lifegard" for legal purposes.